Douglas Gresham claims that Jack Lewis was the finest man and the best Christian he has ever known. Of course, Jack to Douglas is C. S. Lewis to the rest of the world. The informal address Gresham uses to refer to the great writer is indicative of the intimacy he shared with Lewis for a dozen years, living in England as Lewis’s stepson.Jack’s Life is an affectionate account of days now long gone. It is a personal memoir of a man who touched many in the classroom, even more with his pen, and made a significant, lasting, and eternal impression on one young man. Douglas Gresham is uniquely qualified to offer such an extraordinary portrait. 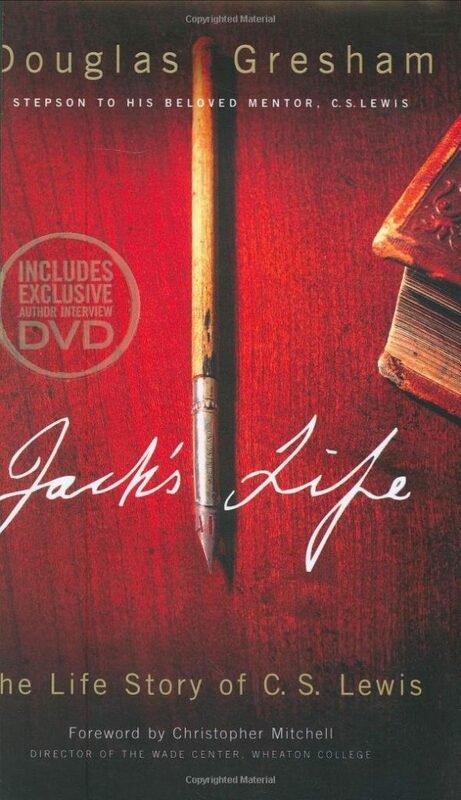 My kids got me Jack’s Life for Mother’s Day, and I am so glad that they did. I really enjoyed it. I have not read any books about the life of C.S. Lewis, so I can’t really compare this to other books about his life. I enjoyed this book, though, because it was written by his stepson, so it is written from more of a personal perspective. It covers some of C.S. Lewis’s academic and writing life, but it is mainly the story of his personal life. It covers his childhood, his relationship with his parents, brother and friends, his marriage, and more. It was an interesting look into the life of a an author so many know and love. If you love C.S. Lewis’s writings, I think you will enjoy this one.